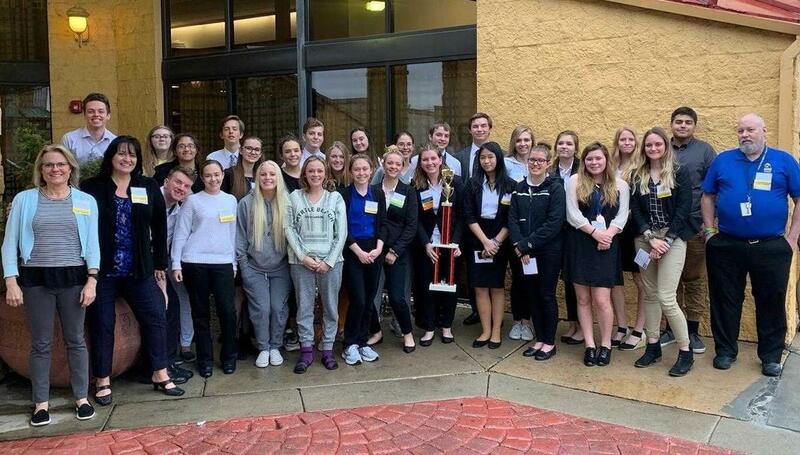 For the second year in a row the Summit Academy High School HOSA chapter has earned the title, “Outstanding HOSA Chapter,” at the 2019 Utah HOSA Spring Leadership Conference. HOSA (Future Health Professionals) is a career and technical student organization with over 200,000 students world-wide, created to provide opportunities to investigate career paths and develop leadership skills in the health sciences. A major component of this effort is the state Spring Leadership Conference at which students can compete in up to three of over fifty knowledge or skills-based health-care related competitions. SAHS HOSA earned this distinction through demonstration of their program of activities over the course of this school year, placing them ahead of over 50 other Utah chapters of all sizes (even 5A and 6A schools!). Additionally, SAHS HOSA took first place in their division of the HOSA Games, a competition where chapters earn points through completion of various activities that enhance opportunities to learn about health care careers and service to school and communities—and, we have a huge trophy to prove it! HOSA International Leadership Conference which will take place June at Disney World, Orlando. Fluck (as a state officer), Braxton Passey (for the National Health Issues Exam), and their advisors, Dr. Jay Marshall and Mrs. Kelly Jones, will be attending the International Leadership Conference. If you see any of the above individuals be sure to congratulate them of a job well done. By the way, those going to the International Leadership Conference are in need of financial support! If you like to help out, details will be posted soon about how you can donate to our efforts. Thanks so much!!! Kelly Jones and Jay Marshall, M.D.